A little birdie says you should warm someone's heart this winter season with this sweet ornament—2nd in the Cozy Critters series. 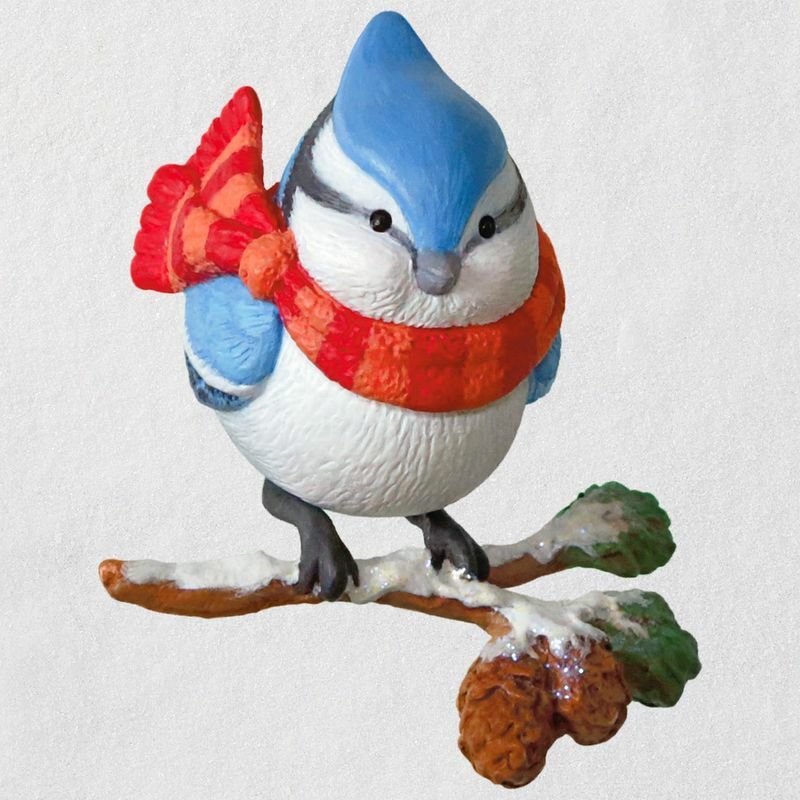 The snow and cold don’t bother this blue jay because he's all bundled up in his colorful striped scarf. 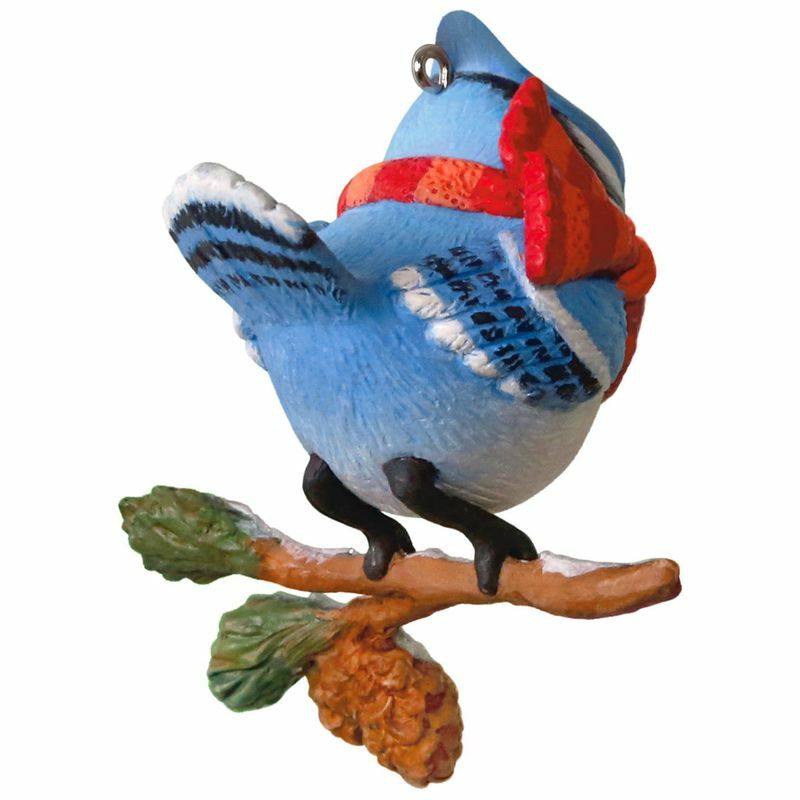 Bird lovers will cherish this adorable addition to their tree. 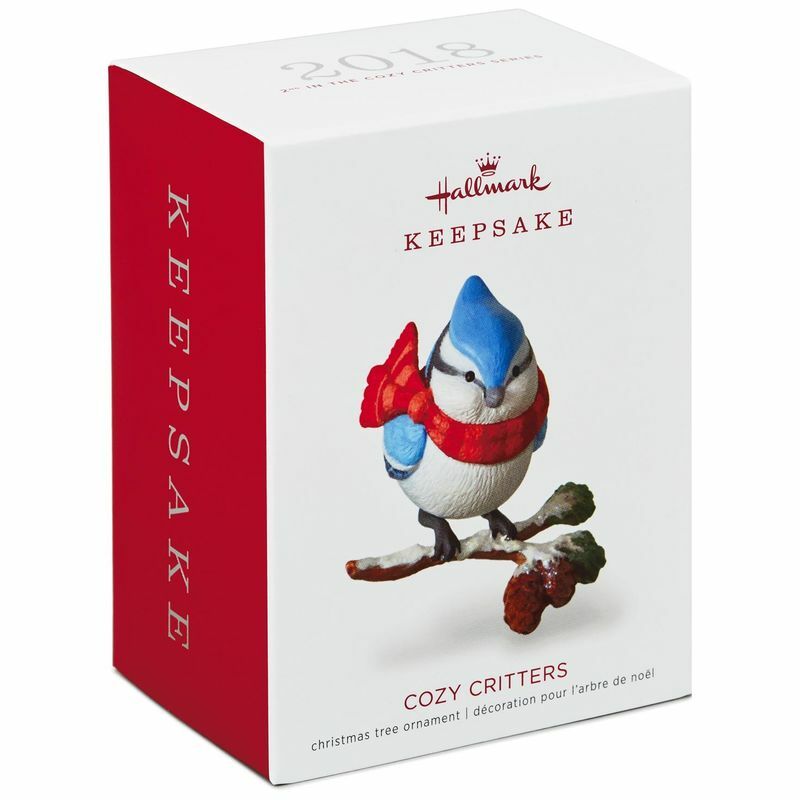 Christmas tree ornament is 2nd in Cozy Critters collector's series. Plastic Christmas tree ornament is lead-free. Measures 2.06" W x 2.43" H x 2.03" D.